Do You Watch Karate Movies..? ...KEEP READING, this is NOT about boring old kick-flicks..! There was a time when Karate Movies inspired people to get started in Martial Arts. Chuck, Jean-Claude, Bruce, Jackie and Mr. Miyagi did their job very well. Their stuff was great, but it cost a fortune to make and it appealed mostly to an uninformed audience. Dust off your favourite old Karate Video and it will remind you of a time when you soaked up everything on offer - and then tried to make sense of it! If you’re half serious about the martial arts, the best you’ll get from ‘blockbuster’ Karate movies is mild entertainment. Choreographed and Scripted to perfection by movie makers to fill cinemas and make money..! Even today’s manufactured Karate Movies are hard to take seriously. 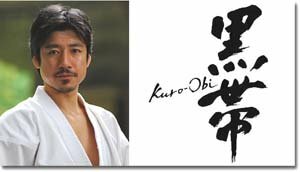 JKA Instructor Tatsuya Naka Sensei - star of the recent Karate Movie “Kuro Obi” (Black Belt). Stuff like this has little to offer except a bit of excitement. But things have changed - and so have you! Thanks to YouTube you can now view the best bits of those old Hollywood style kick flicks anytime you like. 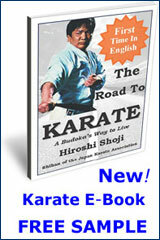 You no longer need to swipe away good money for Shotokan Videos, Karate Kata Videos or any other kind of Kata Videos. There are now thousands of free Karate video clips piling up on the Tube by the day – too many to keep up with! The guys at YouTube know this. Have you noticed how they make suggestions and give you a string of Karate Movies you ‘might’ like..? The problem is there are just far too many to wade through and - coming from everywhere and being called all kinds of different names - they’re impossible to catalogue. The days of the do-it-yourself Karate Video are here. 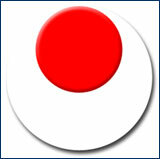 You can now make your own studio quality Karate Video Clip and share it with the world. All the tools and tricks you need can be found online. In recent times some of the most creative Karate Video content ever made has appeared on the Tube. Some of it brilliantly put together, informative and more inspiring than any blockbuster! And They’re Not all New. What’s great about the Tube is that you can dig up old and really old material. Footage that was originally shot on film, super 8 etc, stuff from TV Documentaries, Home Movies, in fact any moving image that can be digitised will find it's way online. This is a work in progress so your ideas are welcome. Please contact us if you find a clip you think other visitors to this website will like. 1. Hideto Tsuchiya performs the Shotokan Kata Sochin. DK Says... This is a great example of dynamic karate in action. Tsuchiya's waza is rangy, crisp and powerful. A great performance by a very well trained Karateka. 2. Yoshiharu Osaka performs three Shotokan Katas; Enpi, Gojushiho Sho and Sochin. DK Says... Osaka Sensei's Kata is widely acclaimed as the finest of the modern era. He is a senior Instructor of the Japan Karate Association and to this day works to develop and refine his already first rate ability. 3. Another performance of Sochin by a very capable Japanese Junior. DK Says... This lad is no more than 12 years old yet the seeds of power, focus, speed and balance are well sown. Behind talent like this lies a good instructor and supportive parents. Western youth would do well to emulate Karate of this calibre. 4. A Japanese Karateka in his Late 50's performs a solid and honest Unssu. 1. You don't have to be young. 2. You don't have to be light. 3. You do have to be skilled.